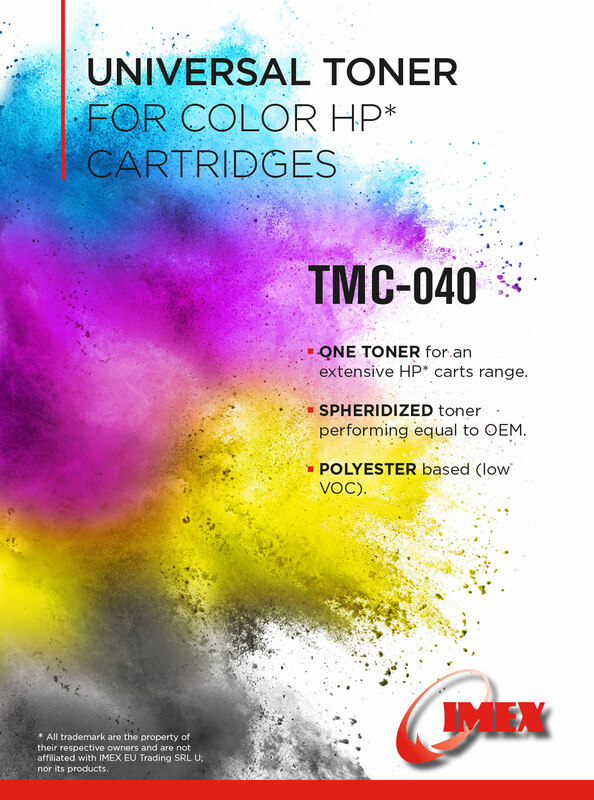 TMC-040 toner has been designed to achieve outstanding performance in regards of colour match and page yield with excellent resolution and fusing on heavier papers and labels. Our toner TMC-040 is LGA compliant due to the low VOC Polyester resin base. This product is very robust when used with recycled OEM components and ensures trouble free performance to the highest quality level.